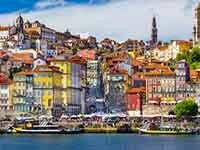 Lisbon is one of the oldest capitals not only of Western Europe, but of the whole world. There are few sights, but the spirit of centuries-old history is in the air. Built on the hills above the Tagus River, Lisbon was named "a city on seven hills".